Here are the final broadcast ratings for Saturday, March 3, 2018. Finals Update: 'NBA Countdown' (0.5, -0.1) adjusted down while the NBA game (1.0, +0.1) adjusted up. NHL Hockey (0.4, -0.1) adjusted down. ABC had a normally-rated countdown special (0.6) leading into an NBA game (0.9). CBS had an encore of 'NCIS: LA' (0.4) leading into a repeat of '48 Hours' (0.5) at 9 and an original at 10 (0.6). FOX had repeats of 'MasterChef Junior' (0.4) and 'Showtime at the Apollo' (0.4). By Saturday repeat standards, there were on the high-end of what the network usually does. NBC had low-rated hockey (0.4) in primetime. 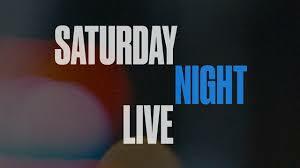 Outside of primetime, the peacock network housed the return of 'Saturday Night Live' (1.9). The long hiatus didn't affect it too much. It dropped a tenth from its last episode.